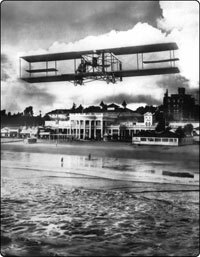 The fascinating history of Long Beach Airport began in the early 1920s, when the only “airport” in the city was a large crescent-shaped beach, with fabric-covered biplanes flying off the sand in the ocean spray. 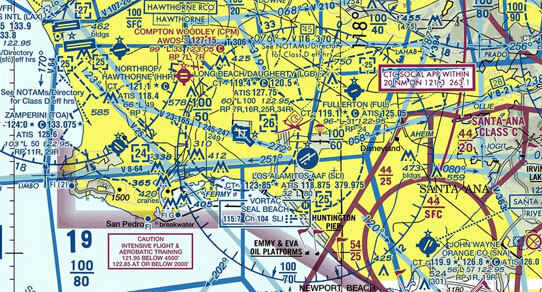 In 1923, the Long Beach City Council allocated 150 acres for use as an airfield. Named Daugherty Field – after pioneer aviator Earl S. Daugherty – it became the first municipal airport to serve Southern California, and allowed Long Beach to gain access to the nation’s young air transportation system. Later in the decade, Long Beach built hangars and administrative facilities for the Army and Navy, with city plans guiding airport development through the World War II period. The airport grew to 500 acres by 1941, and in the same year completed the art deco-style airport terminal – since designated as a City of Long Beach Cultural Heritage Landmark. Over the years, the airport expanded to accommodate increasing needs, including the use of jets such as the Boeing 737 and Douglas DC-9. Current projects include a new passenger concourse, a completed new parking structure, an air carrier ramp and historic terminal modernization. Today the airport serves as a hub of corporate activity and as one of the world’s busiest airports for general aviation. As part of the airport’s diverse operations, scheduled airlines also provide passenger and cargo service. In addition, the airport is an important part of the Long Beach community, partnering with two local schools and providing a volunteer tour program that offers an invaluable learning experience. From its origins as a site when planes used the beach as a runway, to a busy and diverse facility with 370,000-plus annual aircraft operations, Long Beach Airport has become part of a major aviation, transportation, manufacturing and business center that maximizes jobs, economic growth and business diversity.